Genesis casino is a relatively new player on the market as the operator opened its virtual doors to consumers in 2018. Nevertheless, with an impressive futuristic design and excellent game offer, Genesis casino is successfully establishing itself as an industry leader among players. Genesis online casino is licensed in UK and Malta as well as it offers a wide range of casino games including slots, table games and live dealer tables. 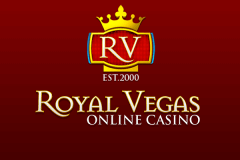 The site’s game selection is powered by popular providers like NetEnt, Microgaming and Play’N GO. Considering that Genesis casino NZ supports several languages and currencies, it comes as a little surprise that more and more gamblers consider it their first choice among all online casinos in New Zealand. Therefore, in this Genesis Casino review, we will analyze all key aspects of the site, including its generous bonuses and numerous banking methods. Both new and regular players at Genesis casino are in for a real treat by the operator. More precisely, right upon signing up, newbies can get a 100% match up to $1000 Bonus plus 300 Free Spins. So, let’s dive a bit deeper into this mouth-watering Genesis casino bonus and check out its rules. Namely, in order to qualify for the offer, you must deposit at least $10. Moreover, before you can withdraw the bonus and any winnings deriving from it, you will have to meet the minimum wagering requirements of 40x first. 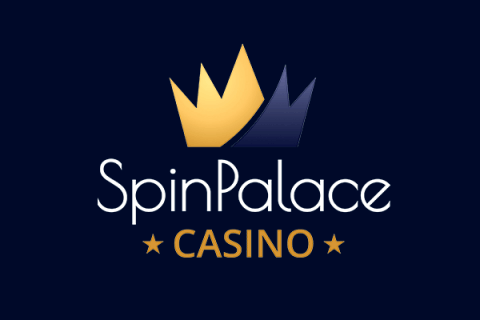 Another thing to remember is that the free spins are credited in installments of 30 free spins per day, starting from the day of making your first deposit. All Genesis Casino welcome free spins are valid for 72 hours upon activation and come with a max win of $100. In addition to the juicy Genesis casino welcome bonus, the operator boasts with many other promos too. Thus, at the time of this writing, players could join an Yggdrasil Marathon or a Xmas Eve Raffle. Additionally, the Weekly Bonus Mission is another Genesis casino bonus to consider as it pampers regular players. The same goes for the Lightspeed Monday promo, which grants bonus spins every single Monday. Genesis casino NZ can really be proud of its game selection. Namely, the number of Genesis Casino online casino games seems endless as the operator collaborates with several leading software providers. More precisely, players at Genesis Casino gain access to titles by NetEnt, Microgaming, NYX, Play’N GO, Quickspin, Yggdrasil and ELK Studios. Additionally, this new casino online features a top-class Evolution Gaming live dealer platform as well. In other words, regardless of whether you prefer high-quality slots or thrilling table games, Genesis casino has it all. More importantly, all picks at the site provide smooth gaming, exciting special features and exquisite graphics effects. Online slots enthusiasts can prepare for an adventure of a lifetime at Genesis Casino. The Genesis casino slots section counts hundreds of fan-favorite titles as well as latest arrivals. After all, leading providers such as NetEnt, Microgaming and Yggdrasil supply their slots to the operator. Users can easily find the most popular games at Genesis online casino by selecting the appropriate tab on the game menu. At the time of this writing, such titles were Immortal Romance, Rich Wilde and the Book of Dead, Vikings Go Berzerk, Wild Seas and Hotline. Another great thing in the Genesis casino slots section is the large selection of jackpot picks. Thus, players can expect both modest and massive jackpot prizes waiting to be hit. For example, Microgaming’s Mega Moolah seemed quite attractive with its progressive jackpot of over €12.65 million i.e. over £10.78 million. Considering the fact that Genesis Casino online features games by several different game providers, it comes as no surprise that even its table game section is quite rich. Thus, table game fans can play for hours without getting bored as the options are plenty. Genesis Online Casino boasts with many variants of roulette, blackjack, baccarat and poker. Some interesting picks to try are Casino Hold’Em, Auto Roulette La Partage, European Blackjack Redeal Gold and High Limit Baccarat. A cherry on top are the numerous video poker variants such as Joker Poker, Deuces Wild and All American. Players at Genesis live casino have access to a top-class live dealer platform. Like all the best live casino sites Genesis is powered by industry-leader Evolution Gaming and provides an amazing as well as authentic realistic action. The game selection at Genesis Live Casino is huge, with numerous variants of live roulette, live poker, live baccarat and live blackjack on the game menu. Some cool tables to try are Three Card Poker, Immersive Roulette, Dreamcatcher, Exclusive Blackjack and Dragon Tiger. Additionally, there is Deutsches Roulette and Svensk Roulette for players that don’t speak English. All you need to know about the Genesis casino mobile version is that the casino’s website has responsive design. In other words, in order to access the Genesis Mobile Casino, you should simply enter the site’s web address into your mobile browser. There’s no need to download any apps that take up precious storage space on your mobile device. Thanks to the responsive design, Genesis mobile casino works impeccably on all popular devices, including those running on Android, iOS and Windows OS. Players at Genesis casino NZ have a wide range of banking methods at their disposal. First, in this Genesis Casino review, let’s take a look at the deposit options. The list of payment methods includes safe and popular options like Visa, MasterCard, Skrill, Neteller, Paysafecard and even Boku (like in pay by phone bill casino). In contrast, the number of withdrawal methods available is a bit shorter as it features only credit cards, debit cards and e-wallets. All in all, Genesis Casino is a great real money online gambling destination for players from many countries, including New Zealand, United Kingdom, Germany and Sweden. So far, players seem to appreciate the casino’s impressive game selection the most. Additionally, they often praise the high-class mobile and live dealer platforms of casino Genesis too. There have been some reports of slow customer care and lengthy withdrawals. Nonetheless, considering the operator is licensed in two reputable jurisdictions and tries hard to join the top iGaming companies, we are certain anyone will enjoy their time at the majestic Genesis online casino.